Fitness professionals are lucky to have many valuable marketing outlets. They can create and share workout videos, write and sell ebooks, partner with local businesses, attend community events and more. These opportunities put you in front of your intended audience and prove your value as a health and fitness professional. Use the following ideas to expand your marketing efforts. Test each one to see which is most effective with your target audience, and then perfect it to drive more leads and brand awareness. I’ve recently been testing Facebook Live and love it as a marketing tool. Not only can it be used as a fun way to connect with potential clients and show your personality, but video gets 135 percent greater organic reach than photo posts, according to Social Bakers. If you’ve never tried it before—don’t fret. The learning curve is short, and the videos are easy to create. You can optimize them for search as well by adding tags, a descriptive title and more. When you’re done shooting the video, download it from Facebook, and you can re-upload to Instagram and YouTube or include them in a blog post. Repurposing this content allow you to make the most of it, especially in the beginning when your live “attendance” is low or non-existent. 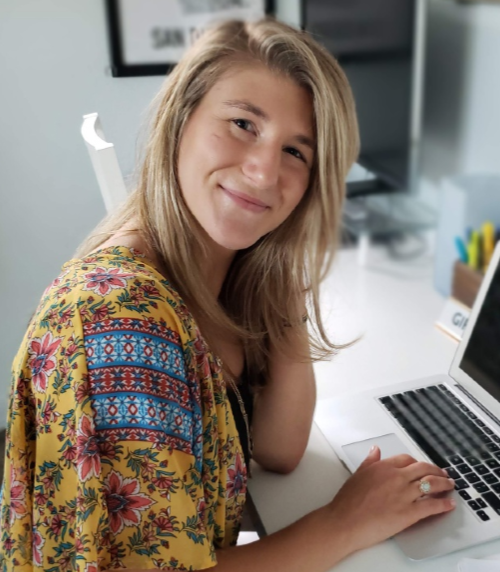 “Early adopters of content marketing are learning how to connect, educate and engage their audiences while increasing brand awareness and positioning themselves as industry leaders,” says Holly Rollins, 3X CMI Content Maven Winner and president of 10x digital. Blog posts: Write workouts, personal stories, tips for healthy living, favorite recipes and more. Aim for one blog post a week to start improving SEO and boosting organic traffic. Video: Video can be used to explain proper form, demo new exercises and even share entire workouts. Be careful not to give too much away too often, like a full workout every week; this gives people less motivation to work with you because you’re already offering your awesome workouts for free. Ebooks: Is there one area of fitness you feel especially passionate about? Perhaps you have a lot of great ideas about staying active in the office, for example. Put them together into an ebook that can be downloaded or purchased. This is a great way to bring in passive income, even if the ebook is priced as low as $.99. A fun way to market your services is to run workouts virtually—this is something I plan to test myself in 2017. The first step is choosing what platform you’ll use to stream your video. If you’ve used Facebook Live before, that’s a good way to go. You can also use Skype or Google Hangouts, both of which are free for everyone to use. With that set, you just have to decide on the day and time, find a payment platform you like (Note that Venmo and Squarecash don’t charge any fees for payments and bank deposits), and share the attendance link only with people who pay (this may be manual, but with small numbers of attendees, still manageable). At the end of the workout, ask everyone to share about their experience using a specific hashtag. You can even take a “group” photo if you’re using a platform that shows everyone’s screen. As a local business, it’s important that you build a network within the community, and events help you do that: “Local event such as street fairs, holiday markets, parades, art walks, outdoor concerts, and sidewalk sales can be a great place to meet members of your community and introduce them to your business offerings,” says Tabitha Naylor, owner of Tabitha Naylor marketing firm. Most cities and towns, even small towns, host a variety of events throughout the year that you can sponsor or market yourself at with a booth. Call your town clerk’s office, or go to the official website to get a list of upcoming events. Choose at least five to attend throughout the year, and get in touch with the event managers to see if you can apply to sponsor or attend as a local business. If the opportunity lines up, you may even be able to do body fat testing and free consultations or run a group workout for attendees. This drives community engagement and word-of-mouth marketing, both of which are critical to your success. A great way to get in front of new customers is to partner with a similar business or organization, especially as a new and growing business. “External partnerships can serve as a startup’s connection to an established community by making their product or offering seem more familiar and less risky. For small businesses and startups, building this brand recognition and affinity is critical,” says Web Smith, co-founder and CEO of Whence. When I first started training, I partnered with a local juice shop to host workouts. For $15, attendees got a full, 1-hour group workout along with a “free” juice at the end. In situations like this, both businesses win—the juice shop was getting exposure, and I was able to meet new, potential clients. You can also partner with another wellness professional to drive referrals for one another—think: masseuse, physical therapist or anyone who offers complimentary services. Make the partnership more effective with a commission set up. For example, if a physical therapist refers you a client, they get 20 percent of the first package you sell, and vice versa. This motivates both of you to be looking for opportunities.